When it comes to the oldest cognitive enhancers known to man, caffeine is one of them. Many people from different corners of the world have used caffeine to improve their effectiveness and moods. Many people focus on the side effects of caffeine but fail to realize the many benefits of drinking caffeine. From many studies, caffeine has been proved to be among the best tools to improve concentration. Other advantages of caffeine include enhancing circulation, increased blood flow and improvement of metabolism. 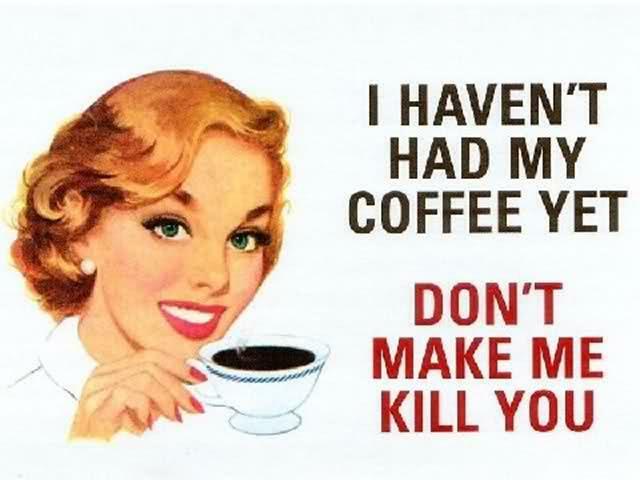 Caffeine can be too addictive. Too much consumption of something can lead to severe side effects. Recently, I decided to quit caffeine and developed a three point plan action to stop caffeine. The steps can be used by other people as well to quite a caffeine. Part two of the three point plan is to find an alternative to caffeine. This article focuses on the search for alternatives which can lead to the successful quit of caffeine. The options will replace caffeine hence get rid of it with time. There are several smart drugs and nootropics which you can use to replicate the effects of caffeine and even replace it. You should know the right drugs and how to apply them correctly if you like to get rid of caffeine from your life. Some of the symptoms which people face when trying to quit caffeine include headaches, dullness and brain fog. Even if you use weaning methods to consume less caffeine in your process of trying to quit caffeine, you will still face the challenges of the withdrawal symptoms. Stress can come from many sources. For instance, if your workplace is stressful, you will experience stress. Too much cold and exhaustion all lead to stress. Some of the best treatments which have been used for an extended period and are still effective in treating the stress include the application of adaptogenic herbs. Rhodiola Rosea is among the most used nootropics which can handle withdrawal effects of caffeine. It is extracted from Rhodiola Rosea. The herb is widely used to reduce feelings such as fatigue and stress. From a meta-analysis, which is a comprehensive form of study, shows that Rhodiola is a useful tool which can increase mental performance. It can be used to enhance mental performance under situations of stress. If you don’t get a cup of caffeine, it can help. Using a dosage of Rhodiola to assist in cycling off caffeine is a common practice within nootropic circles. Even Examine.com founder uses Rhodiola for the purpose. Panax Ginseng is a widely known adaptogenic herb. It is common in energy drinks. Use of authentic ginseng is helpful in post caffeine living. It is less used when comparing with Rhodiola, but it is a powerful tool to deal with post caffeine effects. L-Tyrosine can look like a natural amino acid, but it is very powerful in overcoming physical stress. From research, the amino acid has helped military personnel to withstand extreme cold and altitude stressors. It is also helpful in maintaining cognitive performance. L-tyrosine uses a similar system in the brain just like caffeine. It is dopaminergic hence it can replicate some of the moods and increase concentration benefits in people. Apart from people drinking coffee to enjoy the taste, there are also other benefits which people enjoy from drinking coffee. The caffeine helps in building focus and concentration in people. Higher concentration levels lead to more productivity in workplaces. Some alternatives have high power than caffeine. You should always use them with care. Noopept is believed to be 1,000 times stronger than paracetam. The nootropic drug can be used as a powerful stimulant. It will depend on your brain chemistry when it comes to the utilization of the drug. The drug was developed in the 1970s and is used in most countries to treat memory decline and loss. Noopept is as well used as a stimulant. Noopept is very stimulating. It is even used as a mainstream pre workout supplement. The drug is used as one of the major ingredients. With noopept, you are assured of an excellent combination of safe and well researched stimulating substance at the same time. Phenylpiracetam is less examined when comparing to noopept. But, it is considered to be more potent and exciting. If you like to replace caffeine, there are few nootropics you can compare with the substance. In Reddit thread, most users claimed Phenylpiracetam is among the best. Some users even likened it to unlocking one’s mind like a CPU. Even when used at the lowest levels such as anti-doping summit, which is 100mg, the drug is very effective in replacing caffeine. The drug is very powerful till the world anti-doping agency has listed it among banned substances in the Olympic Games. Modafinil is also among great caffeine alternatives. It is also known as Provigil. The drug has gained popularity in Wall Street and Silicon Valley. It has been recommended by Tim Ferris and Dave Asprey. It is a wonder drug for most people. If you like to replace caffeine with Modafinil, always take a measured approach. Modafinil interacts with the brain the same way caffeine does. It helps in increasing dopamine and adrenaline. They can easily replicate many side effects associated with caffeine. Modafinil is a safer alternative when compared to other amphetamine based drugs, but try not to take it more often. If you prefer using Modafinil, and then restrict the use to once or even twice after every ten days. Modafinil requires a prescription in some of the countries. An alternative referred to as Adrafinil is a safer approach. If you will use the smart drugs we have outlined above, it is easy to get rid of caffeine. Not all of them will help you fully if you do not use them well, others can hurt you. But, if you become careful not to abuse the drugs, you can easily get rid of caffeine. The nootropics above helps your body adapt to the stress of staying without caffeine. They help your body achieve improved focus and attention even without caffeine. Previous "Why I Didn't Think of That?" Supplements? “Why I Didn’t Think of That?” Supplements?